The Edergole is a timeless single breast short coat. 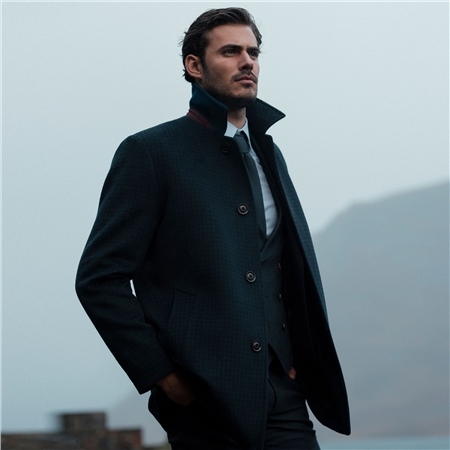 The fabric is a subtle navy-blue houndstooth wool-cashmere blend featuring a contrasting suede & wool under collar with logo embroidery. Style with a Finn tailored suit, blue and grey micro design shirt and knit tie.